Ronald Reagan was a principled man. Unlike most modern-day politicians, President Reagan governed from a set of unchangeable principles that guided his life, not to mention, his nation. 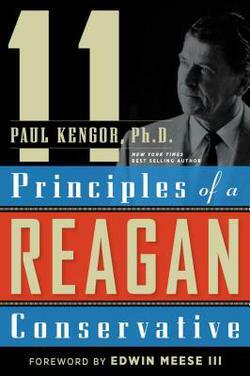 Kengor summarizes each principle and backs his study with a steady diet of Reagan quotes. This is a highly readable and informative book that would be perfect for a high school student or anyone who seeks to learn more about President Ronald Wilson Reagan.